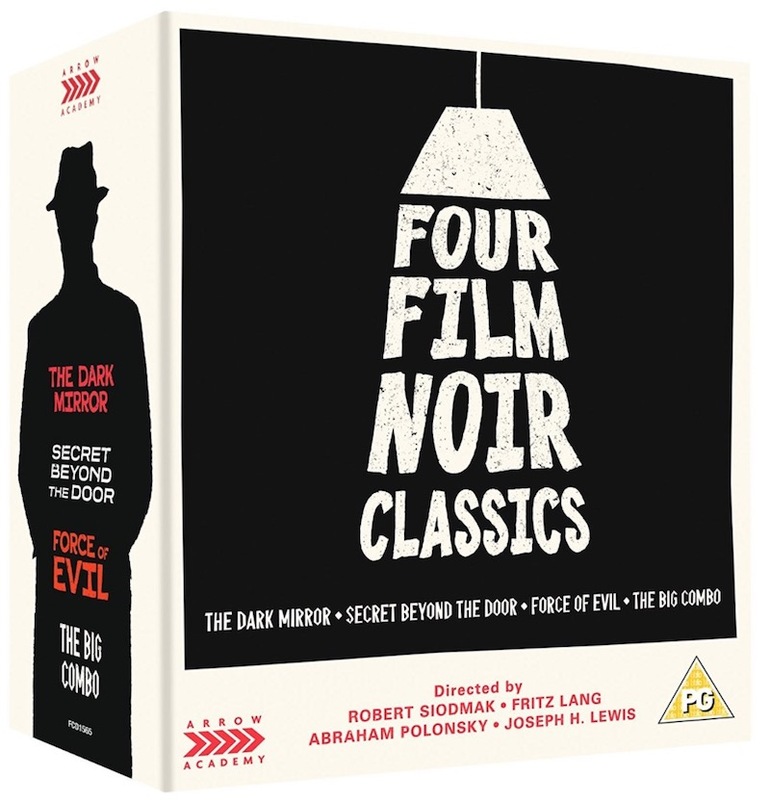 Arriving in ‘Noirvember’, Arrow Films’ Four Film Noir Classics box-set brings together movies by some of the most interesting directors working in Hollywood during the 1940s and ’50s: Fritz Lang, Joseph H. Lewis, Abraham Polonsky, and Robert Siodmak. They were very different filmmakers, but each of them embraced the trends and tendencies that would come to distinguish its own genre: film noir. The worlds of financial capitalism and criminal racketeering are two sides of the same coin in Force of Evil. 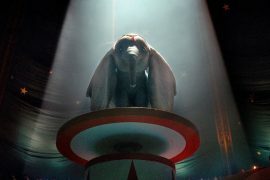 Written and directed by Abraham Polonsky (who would later be blacklisted by the Hollywood studio system), the film adopts the jargon of banking and business to make its point. Far from being a mere message movie, Force of Evil is alive with the experimentation of filmmakers who’d never been allowed to deliver work with such clarity or freedom. And most of them would never get that chance again. 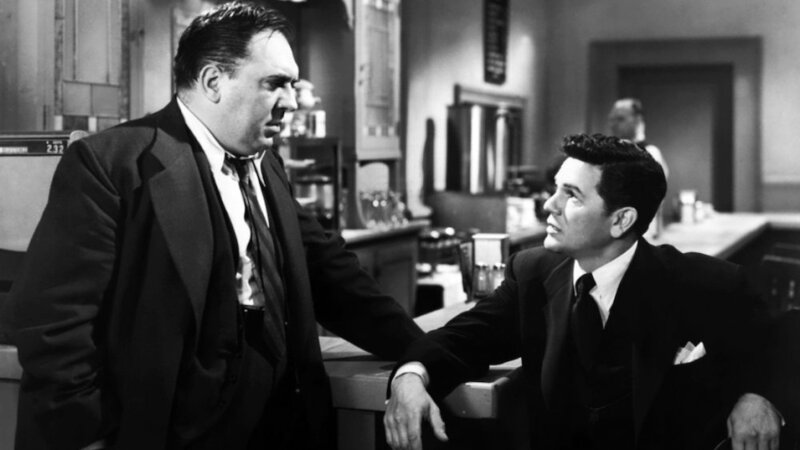 Joe Morse (John Garfield) is an unscrupulous lawyer who’s working for one of New York City’s most powerful criminal racketeers. In the process of expanding and consolidating the criminal empire, Morse must close down the small-time numbers operation of his brother Leo (Thomas Gomez). The film goes to great lengths to portray how these systems subsume everyone, and concludes with stunning images of Morse in streets and landscapes that dwarf him. His world is empty and desolate by the time the film ends. The cop and the criminal aren’t as clearly defined as one might expect in The Big Combo. Sadistic mob boss Mr Brown (Richard Conte) swings between cruelty and charm, and we’re even allowed to see glimpses of his vulnerability. The cop trying to close him down and finally get him behind bars is Leonard Diamond (Cornel Wilde). His intentions are hardly pure, but we discovery he’s in love with Mr Brown’s lover Susan Lowell (Jean Wallace) before he even meets her. 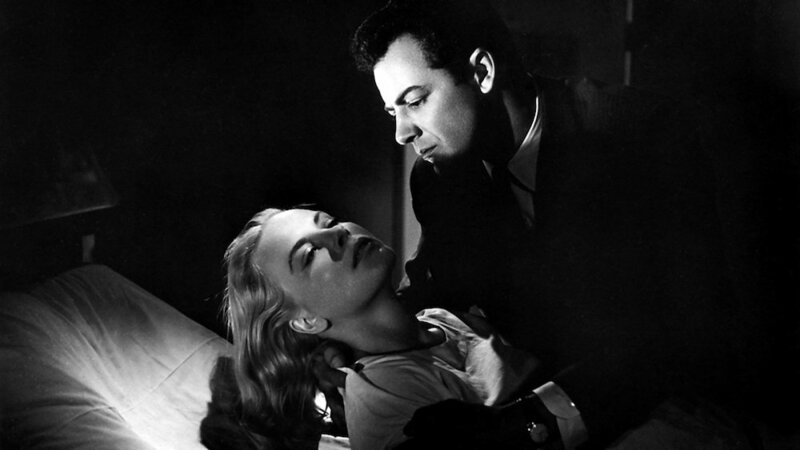 A creepy cop and a charming villain provide the perfect recipe for classic noir. None of the narrative devices are particularly groundbreaking here, but Joseph H. Lewis’s inventive angles and camera placements are on full display. Without spoiling anything, formal touches, such as the use of a hearing aid as a form of torture, and later as a final act of insincere mercy, are particular highlights. As Adrian Martin correctly notes in the audio commentary on this disc, The Dark Mirror is a hybrid of many Hollywood genres and not a straight noir as we understand them. It starts as a crime drama with occasional hints at comedy and melodrama, before turning into a psychological thriller halfway through. 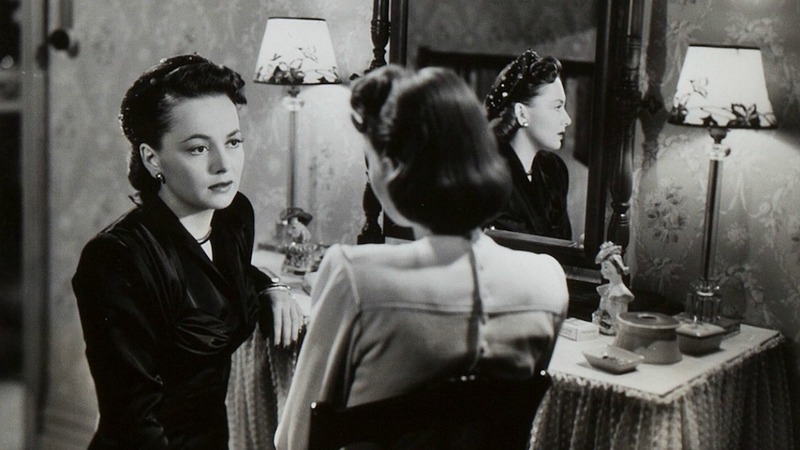 This shift might leave some viewers cold, but Olivia de Havilland playing two identical twins manages to hold everything together. Director Robert Siodmak repeatedly came back to family tensions and here the complicated relationship between identical twins provides the basis for a film about Freudian psychology and murder. The use of twins acts as a metaphor for split personalities, with some characters experiencing the twins as a single person whose personality swings wildly. 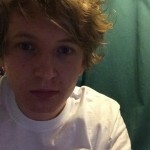 The narrative focuses on the investigation into which of the twins committed a murder. Despite its outdated psychological assessments and timeworn evil twin trope, The Dark Mirror remains a deeply unsettling thriller. Although the weakest of Fritz Lang’s American film noirs, Secret Beyond the Door carries all the hallmarks of Lang’s pessimistic worldview. 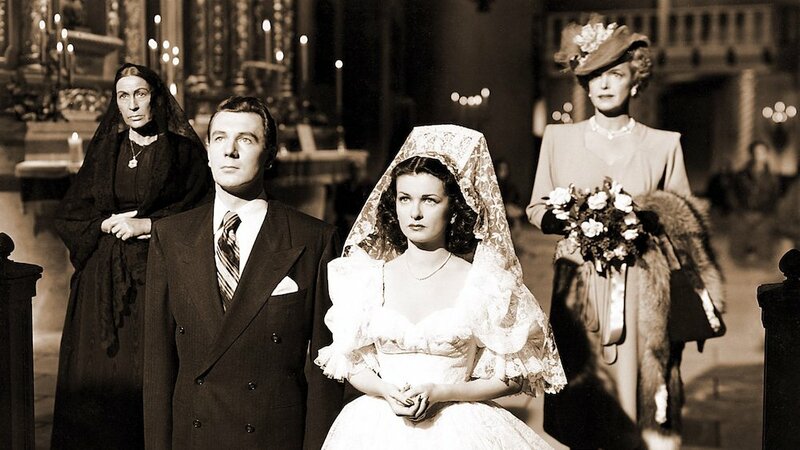 Mark Lamphere (Michael Redgrave) is a slave to his own messy psychological state, while his new wife Celia (Joan Bennett) could be his next victim. Lamphere’s large house is a stand in for his mind, crammed with the trinkets and reminders of his murky past. It arrived at a time when Hollywood was discovering psychoanalysis and applying it to narratives liberally and often badly. 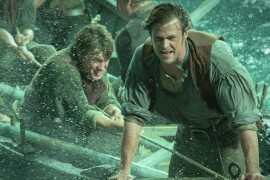 In that vein, the script doesn’t stand up to much scrutiny; it’s trashy at best. However, trashy material has never stopped the best Hollywood directors producing good work. The characters’ creeping madness is the engine that drives the film and, intentional or otherwise, even the ostensibly happy ending doesn’t ring true. Arrow’s new box-set release comes with a hardback book with writing by critics including Tony Rayns and David Cairns. Each film is also accompanied by contextualising videos and audio commentaries by critics and scholars including Adrian Martin. Limited Edition Dual Format Collection [2000 copies]. 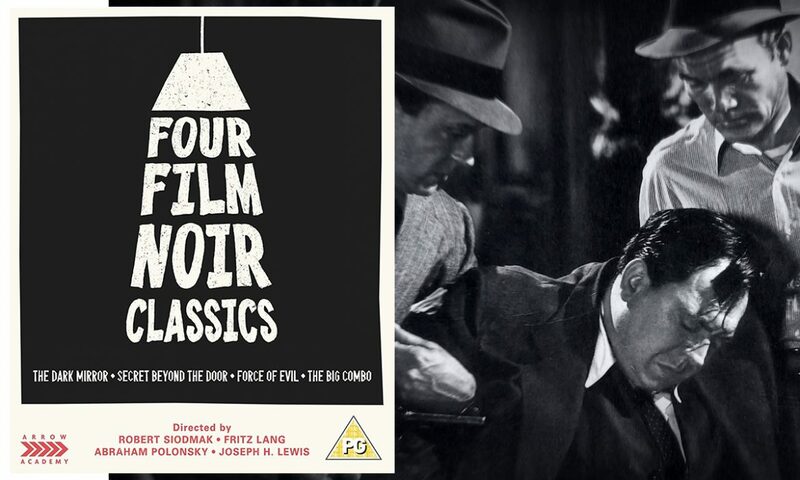 High Definition Blu-ray (1080p) and Standard Definition DVD presentation of four film noir classics: The Dark Mirror (Robert Siodmak, 1946), Secret Beyond the Door (Fritz Lang, 1947), Force of Evil (Abraham Polonsky, 1948), and The Big Combo (Joseph H. Lewis, 1955). Commentaries on all films by leading scholars and critics Adrian Martin (on The Dark Mirror), Alan K. Rode (on Secret Beyond the Door), Glenn Kenny and Farran Smith Nehme (on Force of Evil), and Eddie Muller (on The Big Combo). 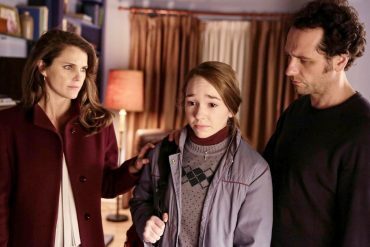 Noah Isenberg on The Dark Mirror, the author and scholar provides a detailed analysis of the film. Barry Keith Grant on Secret Beyond the Door, the author and scholar introduces the film. The House of Lang: a visual essay on Fritz Lang’s style by filmmaker David Cairns with a focus on his noir work. Introduction to Force of Evil by Martin Scorsese. An Autopsy on Capitalism: a visual essay on the production and reception of Force of Evil by Frank Krutnik, author of In a Lonely Street: Film Noir, Genre, Masculinity. Commentary on selected Force of Evil themes by Krutnik. Geoff Andrew on The Big Combo, the critic and programmer offers an introduction to and analysis of the film. Wagon Wheel Joe: a visual essay on director Joseph H. Lewis by filmmaker David Cairns. The Big Combo original screenplay (BD/DVD-ROM content). Four radio plays, starring Olivia de Havilland and John Garfield among others. Reversible sleeves featuring original and newly commissioned artwork by Scott Saslow for all films. Hardback book featuring new writing on all the films by noir experts and critics including Michael Brooke, Andrew Spicer, David Cairns and Tony Rayns, production stories, re-prints featuring Fritz Lang, Abraham Polonsky, Cornel Wilde, The Dark Mirror consultant Dr Mary Romm, contemporary reviews, and credits for all films, illustrated with original stills [Limited Edition Exclusive].